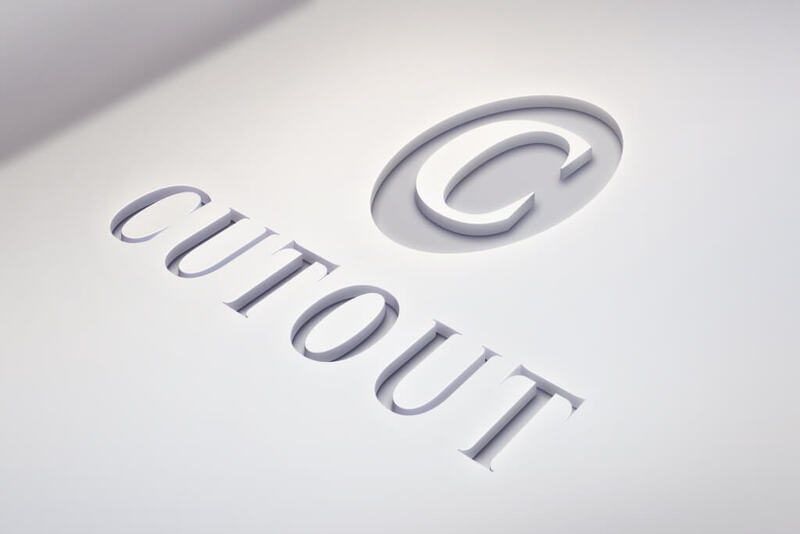 Logo designs play a crucial role when it comes to the success of a business. For designers, it’s always about how they present their work to their clients or audience. Good mockups not only enhance design presentations but also help in saving time and making work processes more streamlined and efficient. In order to help you present your logo designs to your clients with the strongest possible impact, we have gathered more than 100 logo design mockup templates. All of these mockups are of extremely high quality and will help you streamline your work process in no time. Some are free to use, while others cost only a few dollars. This is a bundle of 10 photorealistic logo mockups that allows you to showcase your logo and badge designs in various signage and shop environments. 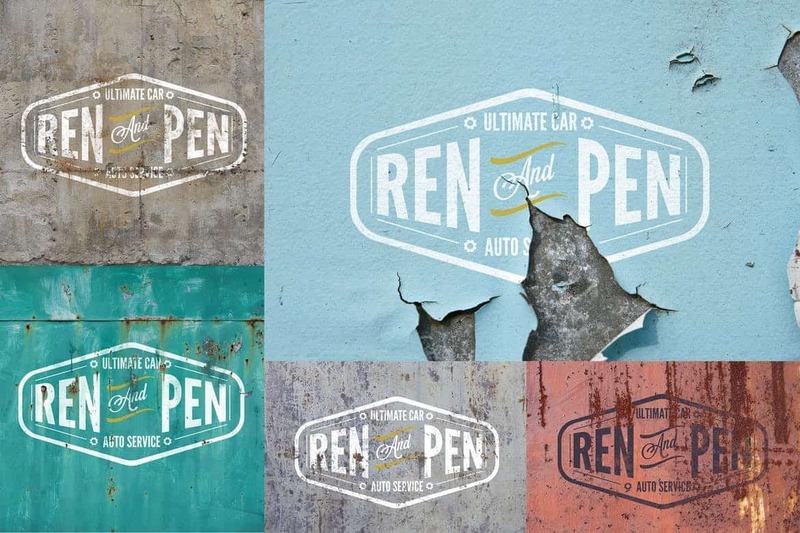 A collection of hipster-themed logo mockups featuring modern-vintage designs. It includes 25 different mockups made up of real photos. A set of 8 unique signage and logo mockup templates. The templates in this pack feature smart objects for easier editing as well. This bundle of mockups templates including 10 different mockups in PSD formats for presenting your logo and label designs in a professional way. Featuring metallic designs, this pack of mockup templates is perfect for showcasing your logo designs in a unique way with an engraved look and feel. A simple yet elegant logo mockup for presenting modern logo designs. The template comes with smart objects and in a layered PSD file. This collection of logo mockups feature 6 wood-based designs for showcasing your logo designs with a realistic engraved look. A stylish logo design mockup you can use to showcase your design with a 3D view. It’s also available in 3 different variations. A bundle of 10 unique logo mockups made specifically for logo and label designs. These mockups have been made based on real photos as well. The mockup templates in this bundle feature simple designs that will make your logo and text designs look 3D. This beautiful and unique logo mockup template can be used to present many types of modern logo designs. And it’s free to use. Showcase your logo design on a stack of business cards. This logo mockup features a realistic background as well. A bundle of logo mockups featuring paper-themed designs. These mockups are ideal for presenting business card logo designs. If you’re working on a letterpress logo or label design, you can use this mockup to present your design to clients in a realistic environment. A collection of 10 unique mockup templates for showcasing logo and badge designs. The mockups also feature real-photo based designs. The mockups in this pack also feature realistic backgrounds and include smart objects for easier editing. The bundle includes 10 mockups. Another collection of 10 different logo and badge mockups. These mockups are available in 3000 x 2000 px resolution. If you’re working on a logo design for a luxury brand, this pack of 11 mockups will help you showcase your logo designs in a professional way. This is a two-in-one logo mockup template that allows you to showcase your logo design on both a label and a USB flash drive. This free logo mockup is ideal for presenting your logo designs made for luxury brands and businesses. This bundle includes 4 different mockup templates that include paper-based mockup designs in well-organized PSD files. A collection of unique logo mockups featuring rusty and weathered backgrounds. These are perfect for vintage-themed logo and badge designs. Featuring 8 different mockup templates, this pack allows you to showcase both your business card designs and logo designs. 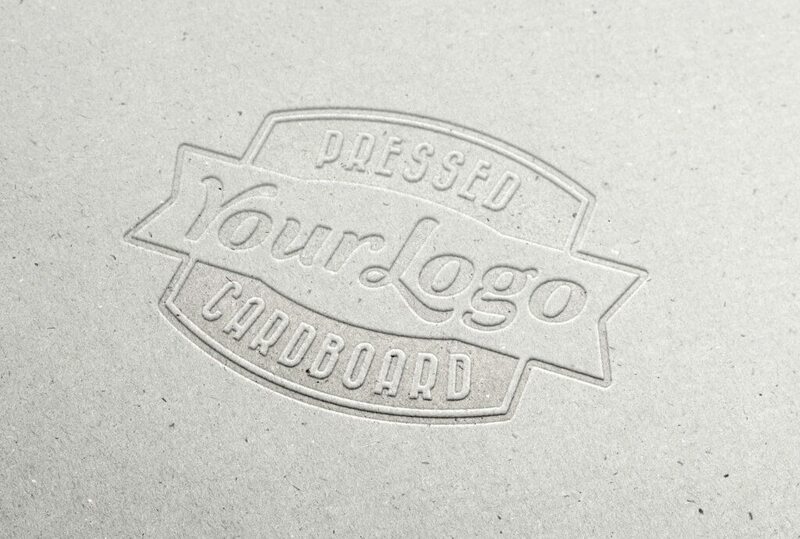 This free mockup template allows you to showcase your logo design on a wood wall. It’s available as an easily editable PSD file. This is a collection of 9 unique mockup templates you can download and use for free to showcase your logo designs in various ways. Another set of luxury-themed logo mockups featuring 10 different designs. These mockups also come in layered PSD files. A bundle of modern mockup templates featuring stylish backgrounds. It includes 6 different mockups in PSD format. This is a complete bundle of mockups you’ll need to showcase your logo designs for a brand. It includes cardboard, letterpress, golden foil, and many other types of mockups. A simple and an elegant logo mockup template you can use to showcase your modern and creative logo designs. Make your logo design look like a wall sign using this free logo mockup template. This professional and stylish logo mockup template will make your logo presentations look more authentic and stylish. This set of mockups includes 5 different templates with various designs. You can use them to showcase all kinds of logo designs. This bundle comes with 9 unique mockups that allow you to present your logo designs in a realistic environment. A bundle of 7 unique mockup templates for showcasing branding-related logo designs. The mockups in this pack are available in layered PSD files. Another collection of photorealistic logo mockup templates featuring paper-based backgrounds. These mockups come with smart objects as well. Showcase your logo designs with a unique perspective view using this pack of logo mockups. It includes 6 unique mockup templates. Another free logo mockup template featuring a realistic background. The mockup is available as an easily editable PSD file. Whether you’re working on a signage design or a logo design you can use this free mockup to showcase your design in a professional way. A realistic logo mockup featuring a paper-based design. This mockup comes to you as a fully layered PSD file with smart objects for easier editing. Base on a real photo, this creative logo and label mockup template lets you showcase your designs in a realistic and creative environment. Featuring a perspective view, this logo mockup template is perfect for presenting your logo design in a print paper background. This unique logo mockup will make your logo design look like a paper cutout. The PSD file lets you easily edit the mockup using smart objects as well. Showcase your logo design with a textured look and feel using this free mockup template. It’s available as a layered PSD file. This massive bundle of logo mockups comes with 50 stylish overlay photographs for showcasing your logos. Each logo mockup in this pack features a mixed modern and vintage design and includes smart objects for easily placing your logos in the design. If you’re designing a logo for a brand or a product, this set of mockups will help you showcase your design as creatively designed labels. 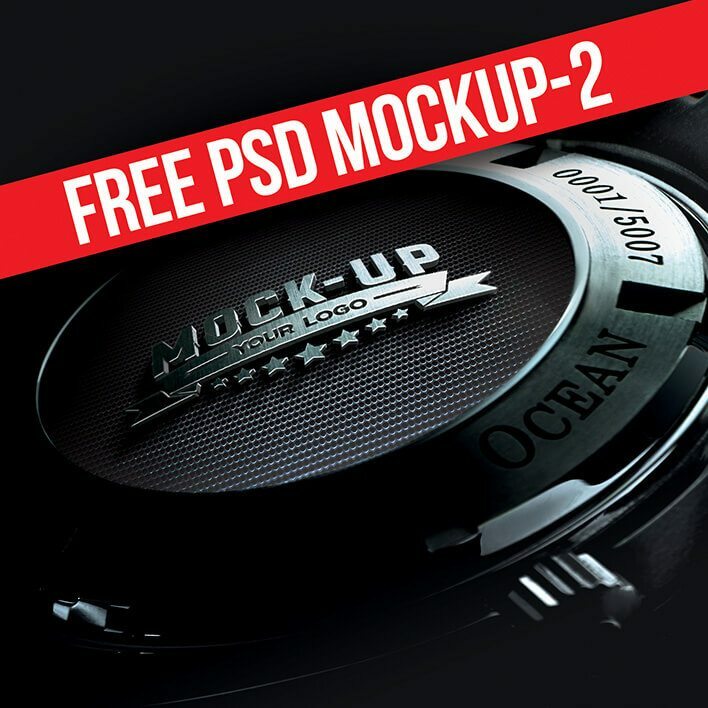 The pack comes with 7 different PSD mockups. A high-quality letterpress logo mockup that’s ideal for showcasing your designs in a stylish and a realistic way. This template is free to download and use for your personal projects. This pack of logo mockups aims to make your logo designs looks as if it’s fresh out of the printing press. The realistic paper look will make your logos stand out in any presentation. This free logo mockup template lets you showcase your logo designs in a photorealistic way. It comes with 2 PSDs in different perspectives. If you’re working on a logo for a big brand store or a shop, this pack offers you plenty of store sign mockups for showcasing your logo designs in a professional way. The bundle includes 50 high-quality mockups in different sizes and beautiful surroundings. This free template is perfect for showcasing logo designs you’re making for fashion-related brands. The template lets you show the logo designs as if it’s embroidered on clothing. Showcase your logo in realistic cardboard labels, paper rolls, and more with this pack of logo mockups. This bundle includes 12 unique mockup templates for professional logo design presentations. Another high-quality, yet free, logo mockup template for showcasing logo and signage designs. This mockup is more suitable for shoe, handbag, or other fashion branding work. This is a curated collection of 8 logo mockups that offers several different ways of showcasing your logo, including on business cards, product tags, packaging, clothing, and more. Show off your logo designs as a wall mounted sign using this free logo mockup template. The PSD is fully-layered and you can easily edit its smart objects to place your own design. A collection of 6 beautiful logo mockups for showcasing your logo designs in a creative way. This mockups pack is ideal for showcasing your logo designs for a creative agency or a startup. This minimalist mockup template features a vintage design for showcasing your logo design in a classic and a natural way. You can download this PSD for free. The 11 unique logo mockups in this pack are simply perfect for showcasing your hand lettering logo designs and illustrations. The natural and creative look of the mockup backgrounds will certainly help add more value to your designs. 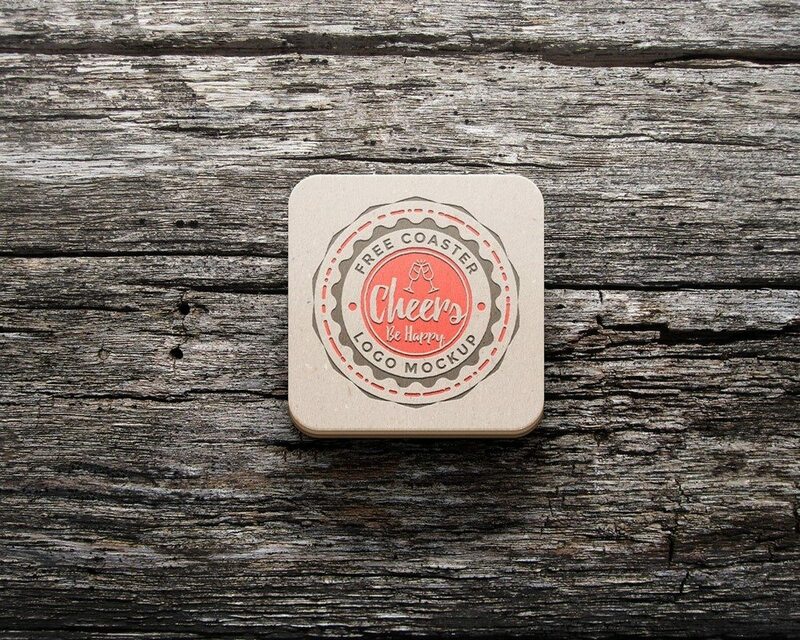 A high-quality free coaster template for showcasing your logo, signage, and sticker designs. 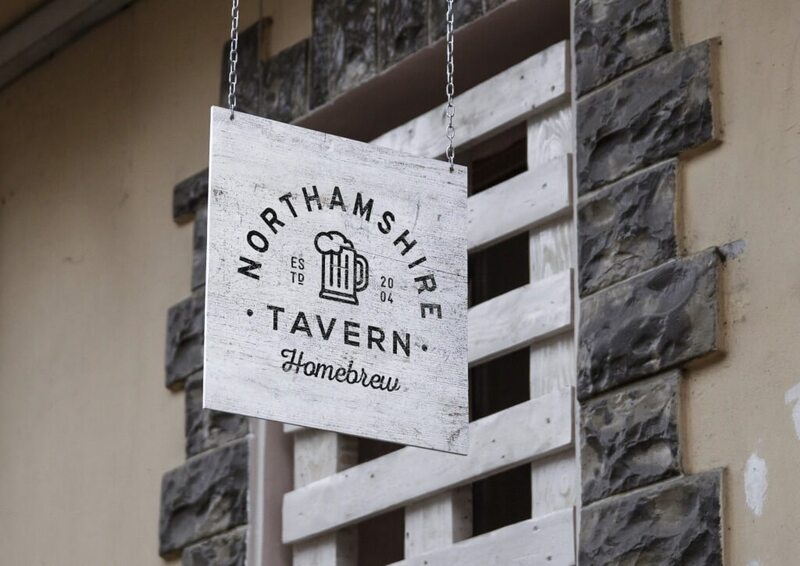 This mockup will come in handy if you’re working on a logo design for a pub, bar, or even a coffee shop. 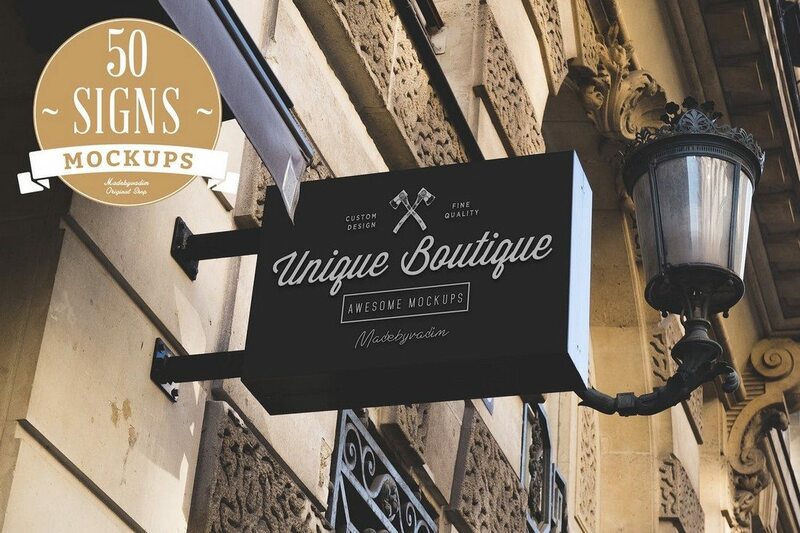 This mockups pack comes with 50 PSD mockup templates for showcasing your logo designs on real shops facades. 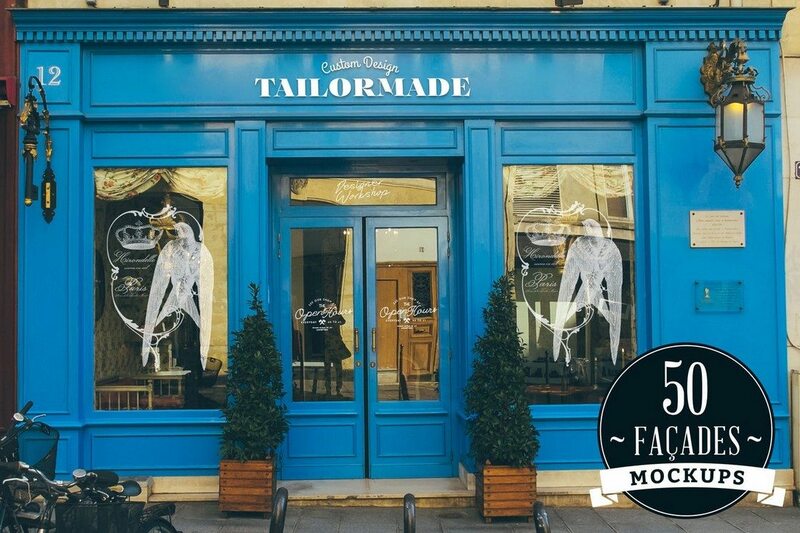 It includes various types of shops, restaurants, bars, stores, and lets you showcase logos on windows, doors, entrances, and in many other ways. The beautiful alternative and unique designs of the mockups in this bundle will let you show off your logo designs in a more original way. This bundle comes with 6 different mockup PSD files. You can use this photorealistic mockup template to showcase logo or signage designs on a beer glass. The glass, logo, and the background of the template are also easily changeable. A 3D logo mockup template for showcasing logo or signage designs on a building facade. It comes with fully organized layered, separated shadows, and editable colors for easier customization. This bundle of logo mockups comes with 14 various mockup templates which you can use to present your logo designs in many different ways. 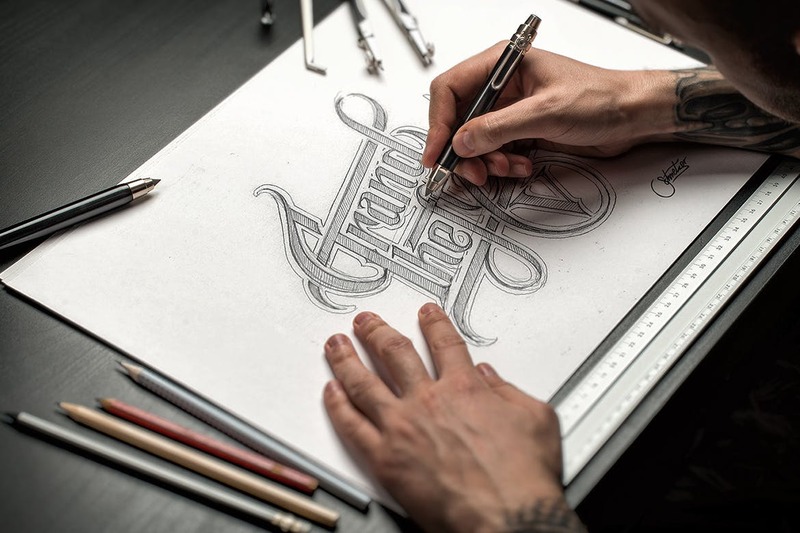 Give your logo designs a creative hand-drawn look with this mockup set. The pack comes with 11 different mockup scenes and includes 5 special color fx filters for adding more style as well. 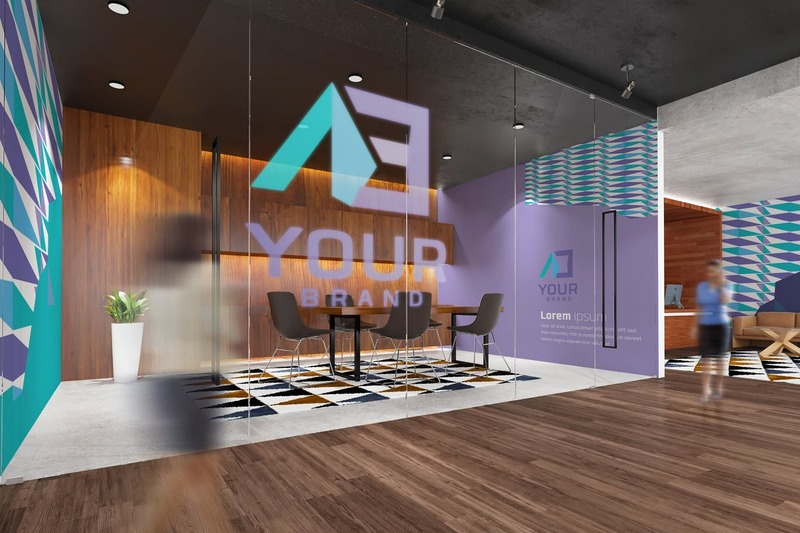 Showcasing your logo designs in an office interior environment will be easier with this bundle of mockup templates. It comes with 10 pre-made PSD files which you can edit to showcase your own logo and branding designs. Using this freebie, you can quickly create your own perspective logo concepts in 3D embossed steel and present them to your clients. The PSD files come with smart object layers. 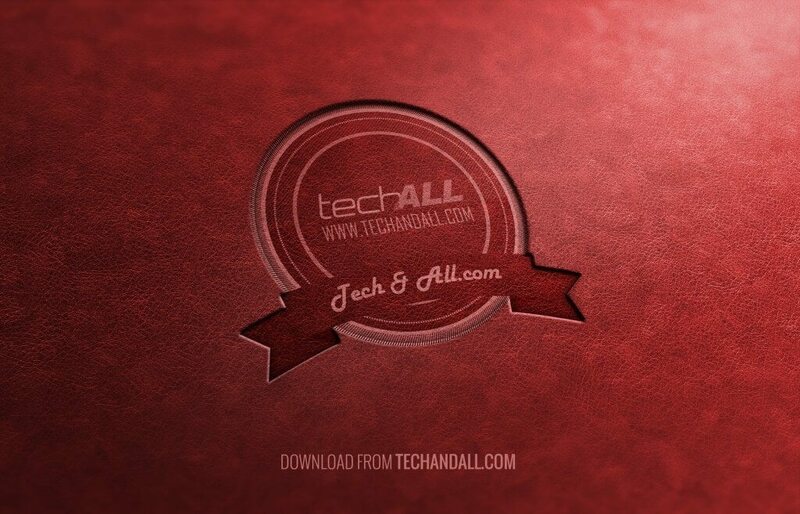 Another dramatic way to showcase your logo; this time, on red velvet leather. The PSD file contains smart object, at 2200×1400 pixels. Want to showcase your logo in a vintage style? If so, this free PSD vintage logo mockup is for you! Just paste your design into a smart object and your artwork will be ready. The mockup displays your inscription on distressed wood. Cool wood-engraved effect using inner shadow detail, giving a solid and realistic end result. The download pack includes a PSD file with the smart object. Realistic logo mockup with clean look and fine details, ready for your presentation. It works with any shape or text, using the Photoshop smart object feature. 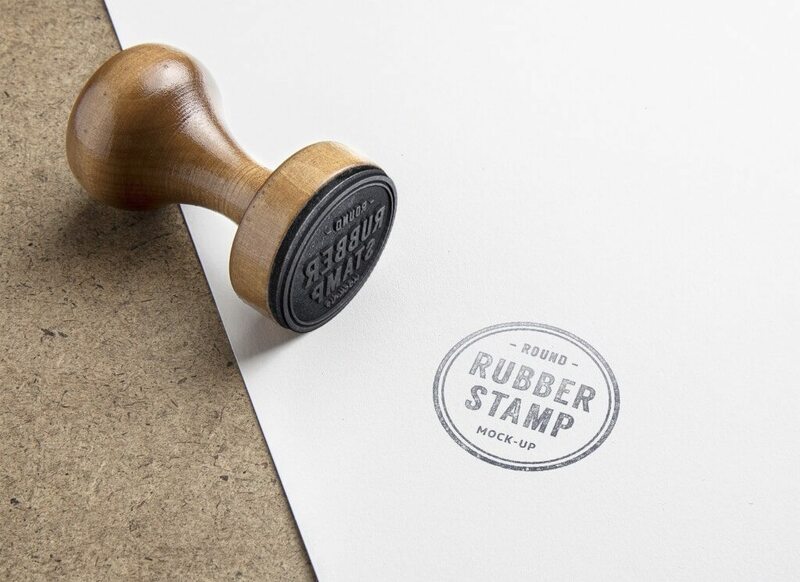 Create a realistic stamp impression for your logo or badge presentations with this new and original rubber stamp PSD mockup. This resource is completely editable and uses smart objects, so you can adjust it to your needs in no time. 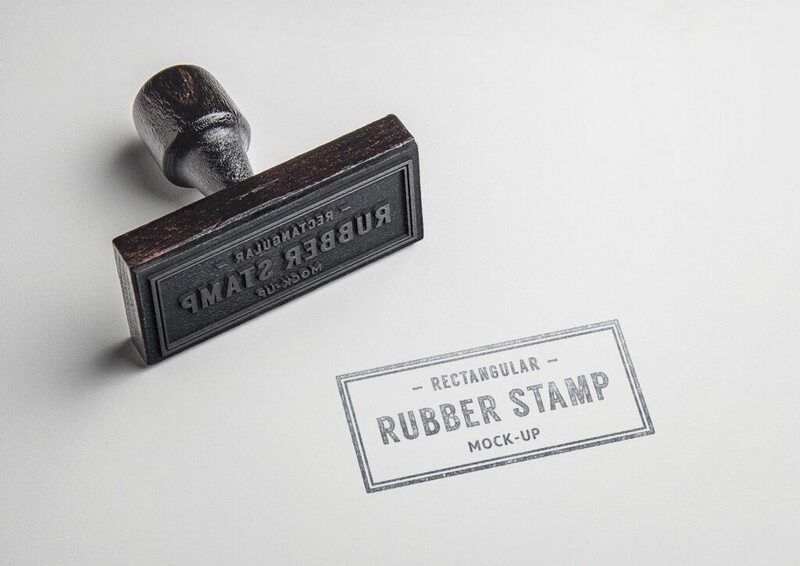 Here’s a very realistic rubber stamp mockup to help you create a distinctive showcase of your badge, logo or symbol. 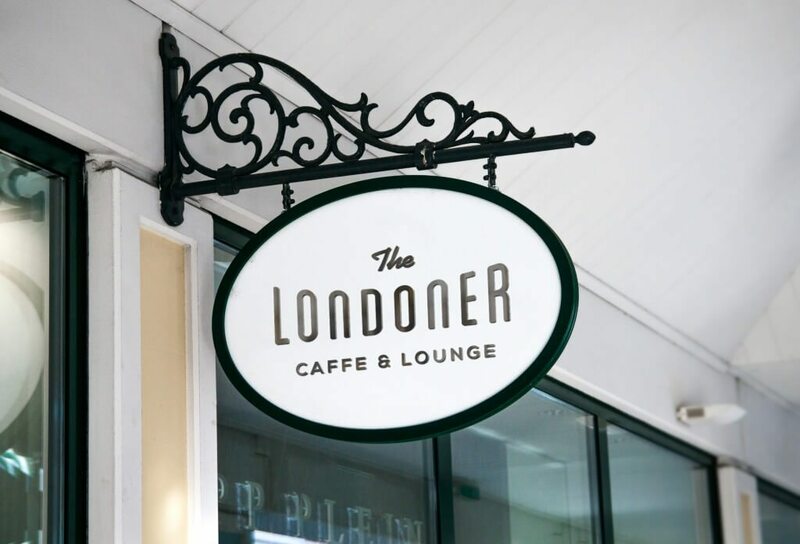 Use this photorealistic hanging wall sign mockup to create a distinctive presentation for your next branding project. Just add your own logo inside the smart object and you’re good to go. Create a distinctive establishment display for your logo, lettering or signage with this photorealistic hanging wall sign PSD mockup. All you have to do is place your own design inside the smart object and you’ll be done in no time. 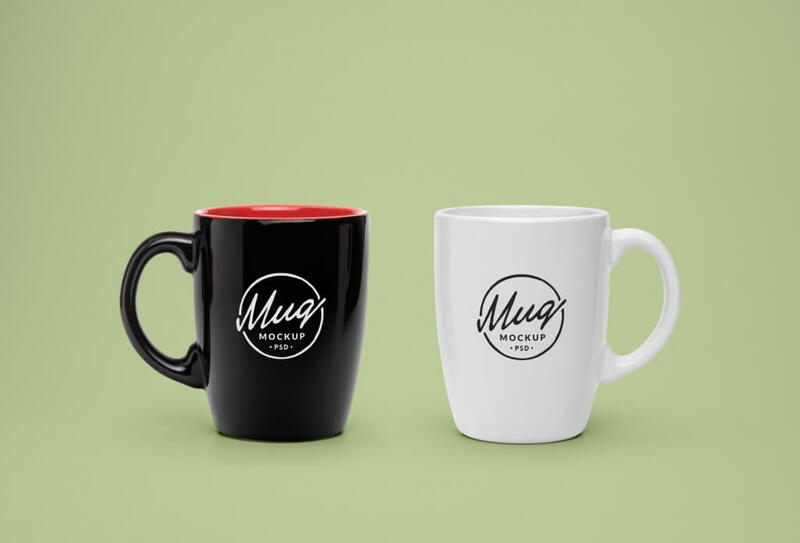 A realistic PSD mockup of a classic coffee mug that will allow you to present a logo or typography piece in a natural way. To get a flawless result, drag and drop your design inside the smart object and change the background if needed. The freebie of the day is an elegant, high quality PSD mockup that will allow you to showcase your logo, badge, monogram and more. 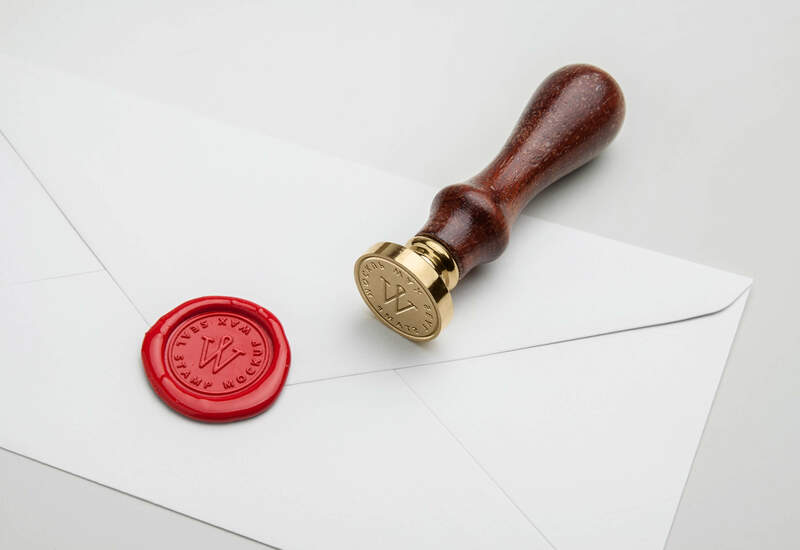 The scene features a realistic wooden wax seal stamp with a wax sealed envelope. You can change the color of the wax seal according to your needs, and place your logo easily via smart objects. This pack includes 6 vintage-style logo templates that you can use as part of your branding, labels and packaging, awesome t-shirt designs, and so much more! All fonts used in these templates are available freely for download and are listed in the help file. Showcase your designs with this photorealistic PSD mockup template. 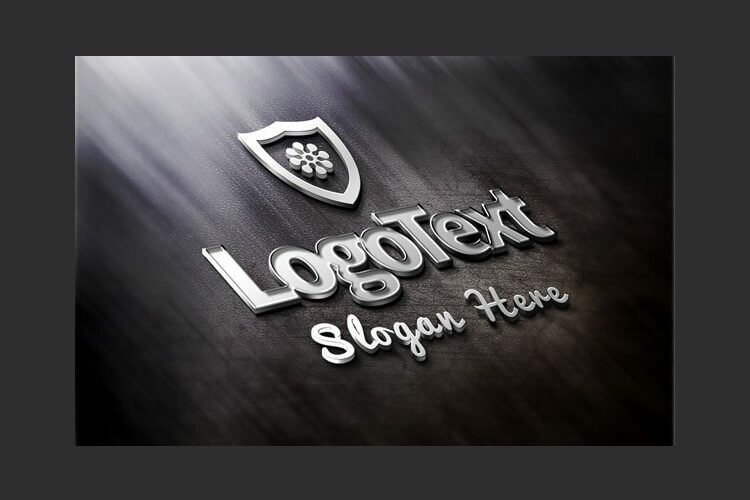 Just place your logo inside the smart object layer and you’ll get this great 3D wooden logo effect. This realistic wood effect works great with any logo. This mockup will help you to create a beautiful display for your branding projects. Create a realistic paint on wood presentation for your logo, signage or lettering. This PSD mockup is designed with smart objects, making it a breeze to use. Be sure to check out the actual size for details. A realistic logo mockup on burlap. The logo mockup PSD uses smart object layers in Photoshop, which requires CS4 or higher. All you need to do is double click the smart object and paste your transparent logo inside. For best results, Photoshop CS6 or higher is recommended. A PSD scratched metal logo mockup, ideal to showcase your logo designs, text or flat objects in a different way – on a realistic-looking metal plate. Just drag and drop your final artwork, thanks to our smart layers. 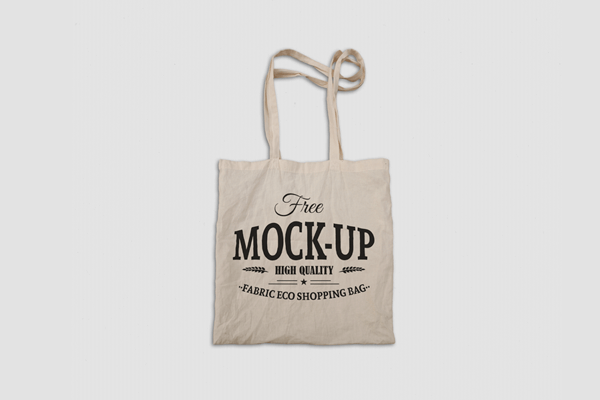 This free fabric eco bag mockup can be easily edited using smart objects. It comes as a high quality 300 dpi PSD file, at a resolution of 3990 x 2475 pixels. The background is customizable, with the bag design located on a separate layer in Photoshop. A simple perspective logo mockup template that allows you to preview your logo design on a fabric surface. The template also allows you to easily change the background color, for different looks. 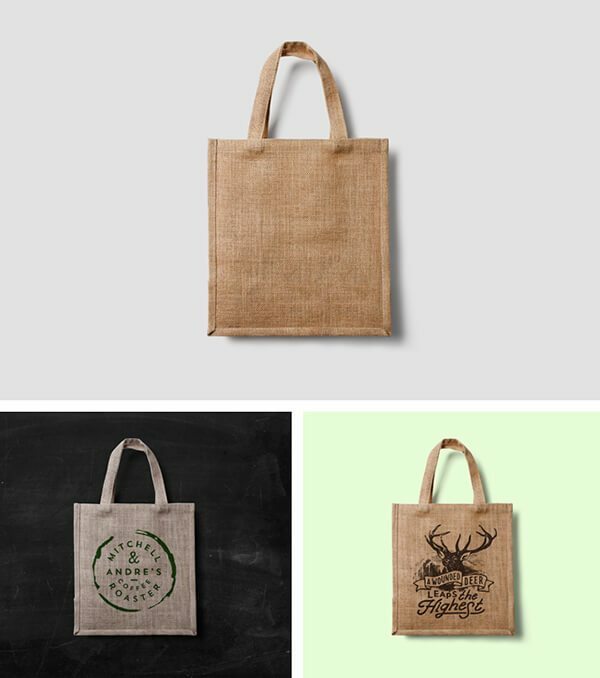 Use this realistic fabric bag mockup to present your logos, artwork, badges or labels in a gorgeous way. The high quality PSD file is easy to edit via smart objects: the bag and the shadow are separated and you can change the background. A distinctive and polished PSD logo mockup to illustrate any of your designs in a realistic manner. Place your work inside the smart layer and you’ll get a beautifully offset printed logo on natural paper effect. A metallic foil printing effect, combined with embossing, to create a “fancy” presentation for your logo, signage or lettering. Use the smart layer to easily drag and drop your design. Metallic foil stamping is a great way to add prestige to a design that calls for a polished style. With this PSD mockup, you can easily get that look directly in Photoshop. Use the smart object feature and create a great presentation in seconds. A gold leather stamping logo mockup to help you create a beautiful display for your branding projects on leather. Add your image inside the smart object, then sit back and enjoy your work. This freebie can be used to mockup your logo, badge or typography. Simply use the smart object layers to replace the current logo layer (“YOUR LOGO HERE”) with your own, and save to see the effect. Download and try it for free. 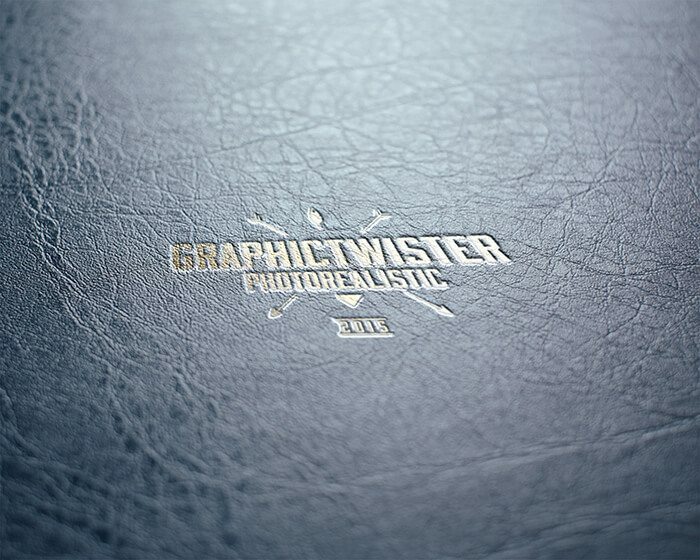 Create a realistic printed leather effect for your logo, badge or lettering. This PSD template uses the smart object feature, so you can easily replace the current logo with your own. Don’t forget to check out the actual pixels. A high resolution and easily editable PSD file for your logo mockups. This Photoshop mockup allows you to showcase your logo with a bit of shine. It uses smart objects to make it very easy for you to add your own design. The PSD file includes 3 metallic foil textures to choose from: gold, silver and copper. Use this PSD template to create a realistic letterpress printing effect for your logo, lettering and more. Just drag and drop your design inside the PSD file and the smart objects will do the magic. Make a realistic presentation of your logo with this PSD letterpress mockup. Just drag any shape or text inside the PSB file and the smart objects will do the hard work. The template is available in high resolution so you can easily adapt it to your needs. This is an elegant PSD silver foil effect to showcase your latest logo or branding design. Easily drag and drop your graphic with our smart layer. A letterpress logo PSD mockup that lets you create realistic letterpress effects for your logo or text. Replace your logo inside the smart object layer, entitled “LOGO HERE”, and save the PSB file. It creates the effect before your eyes. You can also change the color of the mockup to suit your design by filling the “Color Fill” layer. A vintage paper logo mockup to help you create a beautiful display for your branding projects. Add your image inside the smart object and enjoy the results. 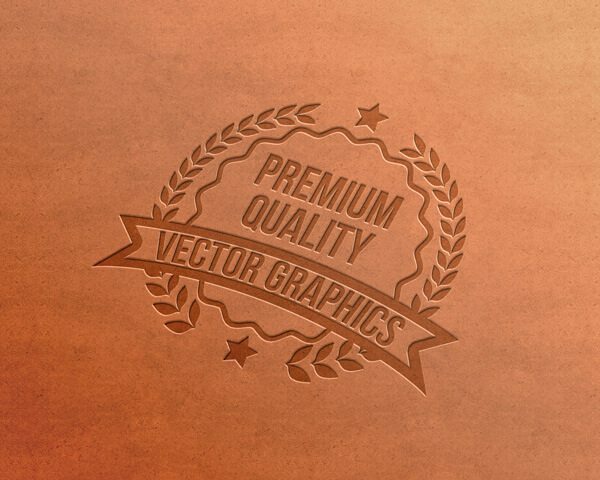 Use this mockup to preview how your logo will look on a brown box cardboard texture. Use smart layers to easily integrate your own design. Using this freebie, you can create your own perspective logo concepts in 3D embossed steel and present them to your clients in no time! The PSD files come with smart object layers so that you can quickly and easily insert your own logo graphics, text or slogan. A beautiful mockup design for presenting your logo in an effective and elegant manner. This logo mockup shows the reverse of the watch and makes a perfect template for showcasing watch-related logo designs.